Trinity Mirror has reported a 42% increase in pretax profit to £66.9m following the purchase of rival publisher Local World last year. In a half-year trading update, the Daily Mirror publisher said its group revenue grew 29.9% to £374.4m for the 27 weeks to 3 July. But print publishing revenue fell by 10.3%, driving a 7.8% fall in revenue on a like for like basis. Digital publishing revenue grew by 14.4% to £39.4m. Local World, which was bought by Trinty Mirror in November 2015, helped boost revenue by £86.2m to £374.7m overall, as well as an additional week of trading in the period compared to last year. There was little mention in the report of The New Day, the daily newspaper that Trinity Mirror closed in May only nine weeks after launching. Trinity Mirror said: "Whilst disappointing, the launch and subsequent closure have provided new insights into enhancing our newspapers and a number of these opportunities will be considered over time." 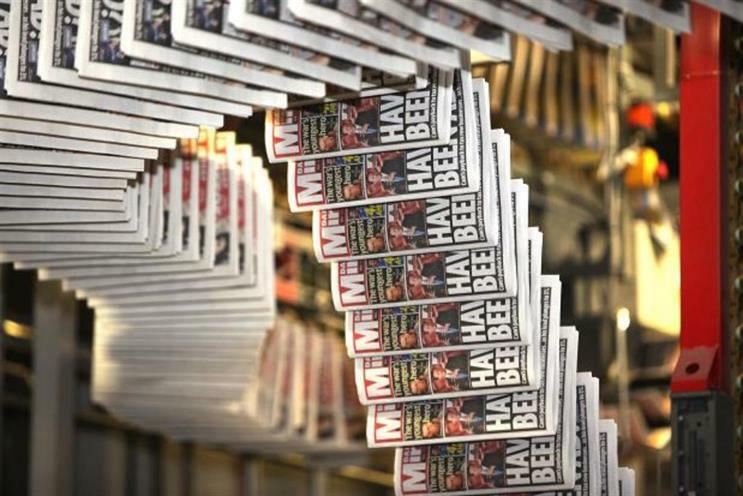 Simon Fox, the chief executive of Trinity Mirror, said: "I am pleased we delivered another strong performance despite the challenging print environment. We are already seeing the benefits from our acquisition of Local World last year and continue to tightly manage the cost base across the Group. "Our strategic focus remains to grow digital audience and revenue whilst protecting print revenue and profit. We are confident that our strategy and our strong balance sheet position will enable continued progress despite increased uncertainty around the economic environment." Can joint newspaper advertising sales work? Is programmatic trading harming news publishers?